An Australian newspaper defiantly republished a controversial cartoon of tennis star Serena Williams on its front-page Wednesday, slapping aside “politically correct” accusations that the drawing was racist and sexist. Melbourne’s Herald Sun cartoonist Mark Knight’s caricature of Williams throwing a tantrum at the US Open, was originally printed on Monday, attracting widespread condemnation from across the world. Under the front-page headline “WELCOME TO PC WORLD”, the newspaper wrote Wednesday that “if the self-appointed censors of Mark Knight get their way on his Serena Williams cartoon, our new politically correct life will be very dull indeed”. Knight labelled the outcry against his cartoon as a sign that the “world has just gone crazy”. “I drew this cartoon Sunday night after seeing the US Open final, and seeing the world’s best tennis player have a tantrum and thought that was interesting,” he said in quotes published on the News Corp Australia paper’s website Wednesday. 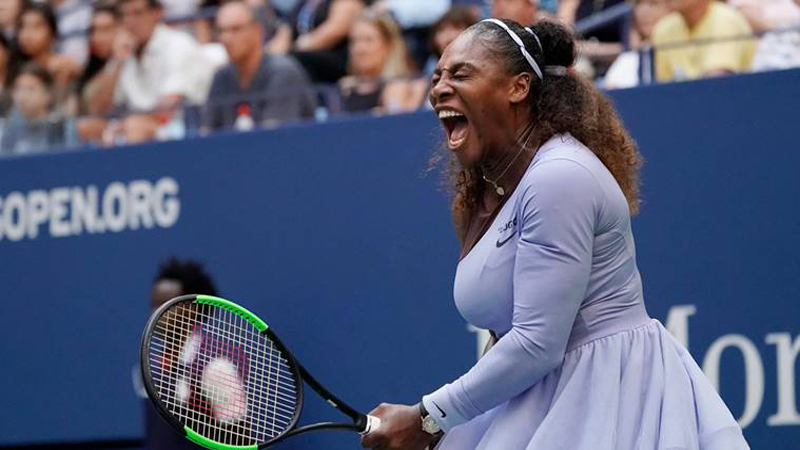 Serena, a 23-time Grand Slam champion, smashed her racquet and called the umpire a “thief” and a “liar” while she was losing Saturday’s final to Haitian-Japanese Naomi Osaka. She was she given three code violations by Carlos Ramos, which cost her a point penalty and then a game penalty. Knight’s caricature showed a butch and fat-lipped Williams jumping up and down on her broken racquet, having spat out a dummy. Osaka was portrayed as petite and feminine with jet blonde straight hair — in real life she has dark curly hair with blonde streaks and is taller than Williams.